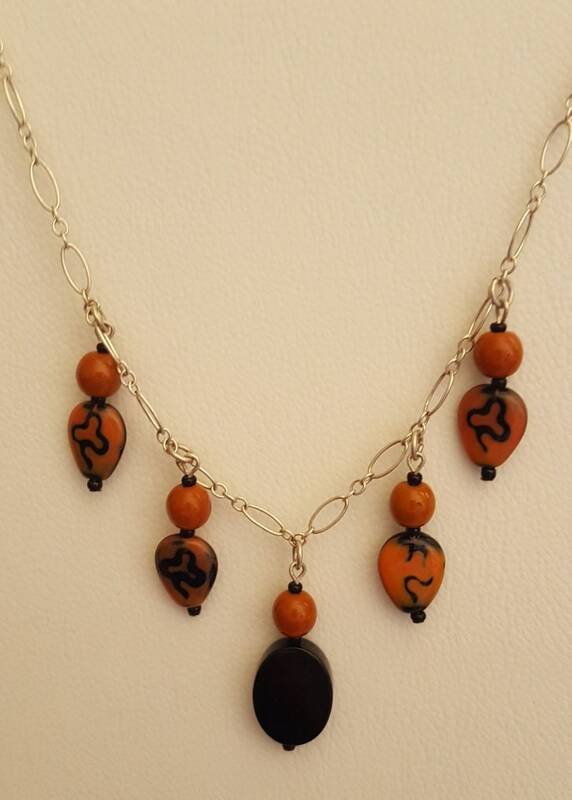 Hand designed individual rust and black beads with oval onyx drop on sterling silver chain. Finished necklace approx. 17' fastened with sterling silver lobster clasp.